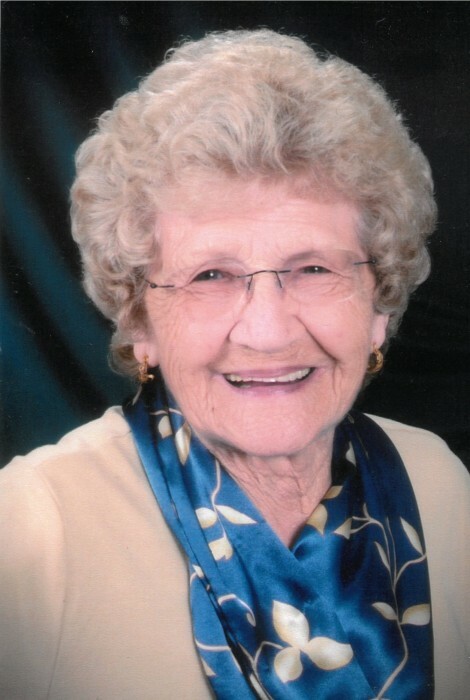 Elvira M. Shaver, 88, of Cresco, Iowa died Thursday, April 11, 2019, at Regional Health Services of Howard County in Cresco. A Mass of Christian Burial will be held at Notre Dame Catholic Church on Monday, April 15, 2019, at 11:00 a.m. with Father Dennis Cain officiating. Burial will be in Calvary Cemetery. Visitation will be held on Sunday, April 14, 2019, from 1-4 p.m. at Hindt-Hudek Funeral Home in Cresco, and will continue at the church for one hour prior to the service on Monday. Hindt-Hudek Funeral Home is assisting the family. Elvira Mae Shaver was born on May 6, 1930 in Cresco, IA. She attended school in Cresco, graduating from high school in 1949. Elvira was united in marriage to Charles (Chuck) Shaver on September 4, 1950 in Cresco. They became parents to 4 girls, Deb, Pam, Susie, and Patty. Elvira worked as a waitress for a few years at the Tower Club and Stoplight. She tended to large gardens when her daughters were growing up and always loved to sew and quilt. She worked at Donaldson’s for 20 years before retiring from there in 1995. She and Chuck had a wood crafting business called Shaver’s Woodshavings and traveled around to numerous craft venues. Elvira had a friendly, outgoing personality and made friends everywhere she went. She remained close to many of her good friends and coworkers from Donaldson’s. Elvira kept herself busy with her favorite hobby of quilting and made many quilts for friends and family from recycled denim that she would get from the County Store in Cresco. She loved to visit with her family, loved going for rides around the country. She loved going out for a bite to eat with Patty and loved her Pivo. Elvira was a hard worker, but always stayed young at heart having fun. Even when her health was failing, she never complained and was kind to everyone. Even though she thought she had much more work to do, God said her work was done. She had a gentle heart, a good natured soul and will be deeply missed. She was a member of Notre Dame Catholic Church. Elvira is survived by her daughters Deborah Terhune (Terry Prugh) of South Dakota, Pamela (Mike) Neubauer of Bangor, WI, Susan Shaver (Neil Thiele) of Cresco, and Patricia Shaver (Steve Miller) of Cresco, 7 grandchildren Amy, Letitia, Nicholas, Megan, Tyler, Angela, and Joseph, 6 great-grandchildren Dakota, Shiann, Armoni, Alley, Nolan, and Carson, sister Garnita “Skip” Wencl of Chanhassen, MN, and brother Donald Foley of Cresco. She was preceded in death by her parents Georgene and Bill Foley, and her husband Charles on February 2, 2013.